The Air Pegasus is undoubtedly one of my all time favourite Nike models. This re-issue of the 1992 is something I’ve been hoping would happen for a long time now. First released back in 1983, the Air Pegasus has been a staple part of Nike’s running collection ever since and has played host to some of the best colourways that Nike put out in the early ’90s. Hopefully we’ll see a whole host of them return as the Peg gets more attention over the next few years. 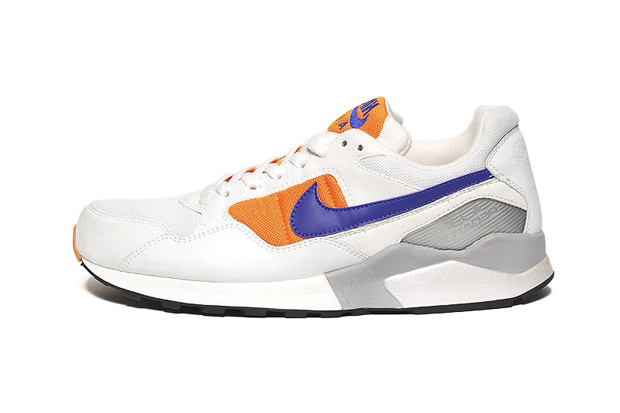 The re-release of the ’92 edition of the Air Pegasus is an OG colourway of White/Orange/Purple, just like when the Pegasus ’89 first came back sporting it’s OG colours. As far as I can see, the shape is near perfect and the materials look good also. 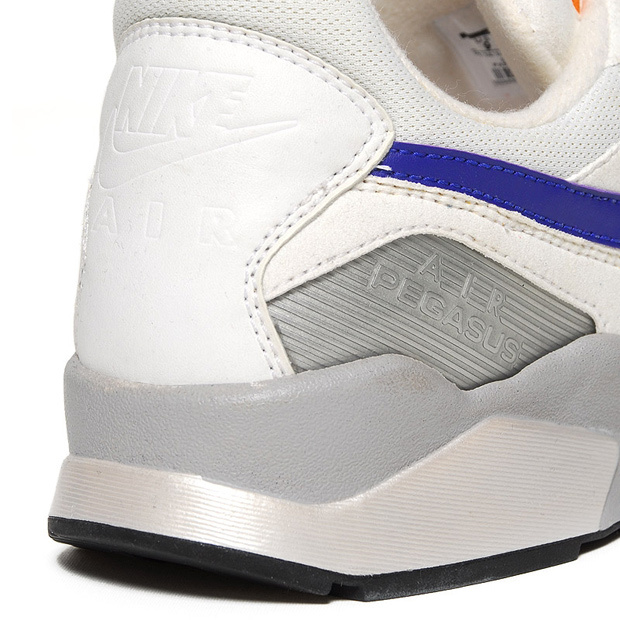 Nike seem to be good at re-issuing their Pegasus sneaks, with the OG ’89 also being bang on. 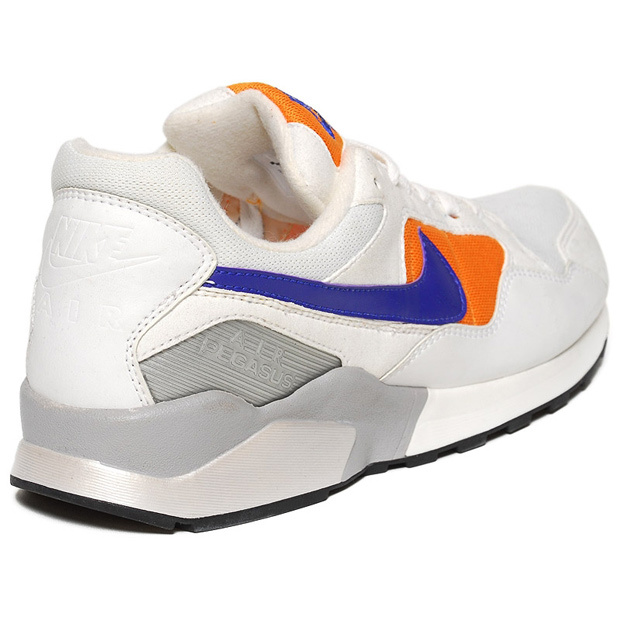 All in all, I’m very excited to see this classic runner returning to the shelves and can only hope that we see more classic colourways springing up as 2011 goes on, rather than a good start with the OG and then a selection of poor new colour-ups like the ’89 wrongfully received. 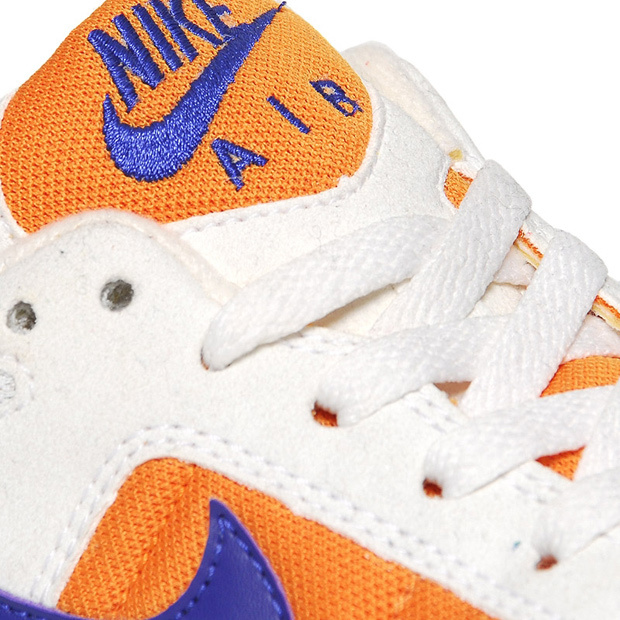 These early ’90s classics are available to pre-order now for £69 from End Clothing.